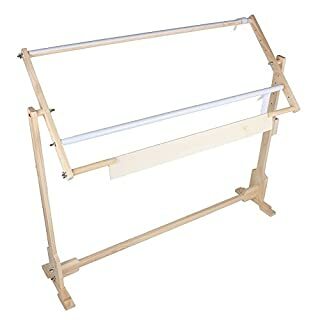 EDMUNDS-Adjustable Craft Floor Stand is perfect for many types of craft projects. 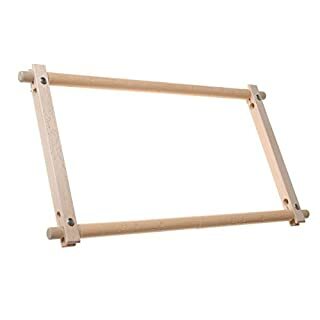 Constructed from durable American hardwood, it's 36 stand holds hoops, stretcher bars, and scroll frames of all sizes. 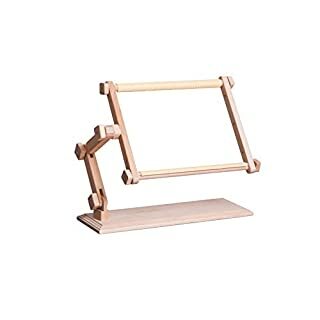 Easily adjusts for height, angle, and right and left hand use. Allows you to work comfortably with both hands for better stitch control. 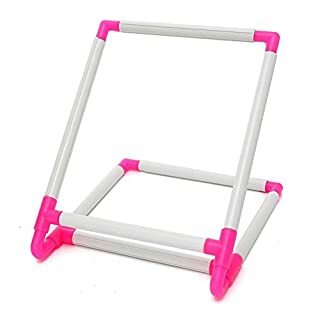 Stand only, scroll frame sold separately. Base measures 36H x 12W x 14D inches. Made in USA. 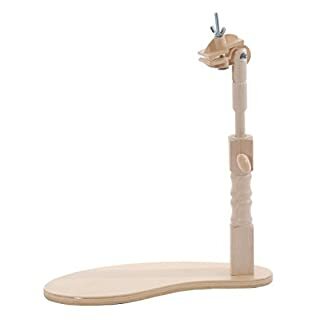 Elbesee high quality Posilock wooden floor stand. 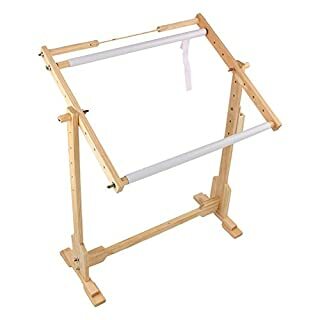 Ideal for embroidery hoops, quilting hoops and rotating frames up to 18 inch or 24 inch. 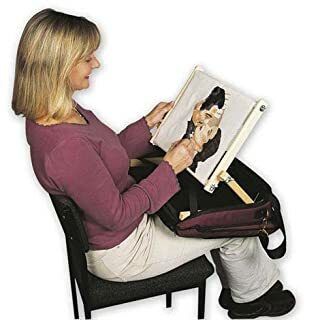 Leaves your hands free to work your canvas. 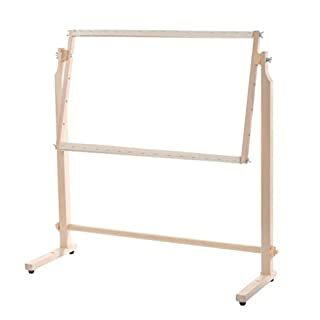 Stand only - rotating frame, hoop or helping hand not included. British made. Dimensions: 76cm / 30in high. Elbesee Easy Clip Hand rotating Frame. Frame grips both light and heavy fabrics. Self locking non slip clips maintain an even tension. Clips help prevent fraying edges. Large work can be scrolled. Change between your projects quickly and easily. Easy to assemble, full instructions enclosed. Features. 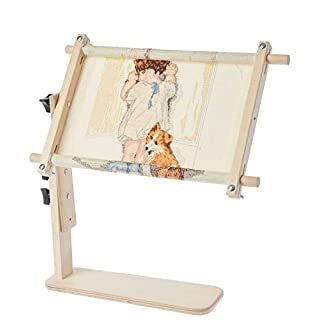 This convenient lap stand allows you to work with both hands free for better stitch control.. Adjustable to different heights and widths this stand comes complete with an 8-0.5 x 24 split rail scroll frame which will fit fabric up to 21 wide.. Perfect for use in your favorite chair couch bed on top of a table or in the car. Due to courier restrictions some areas may require a surcharge; this could apply to the following postal areas: Channel Islands / Isle of Wight / Isle of Scilly / Northern Ireland / Scottish Highlands & Islands. 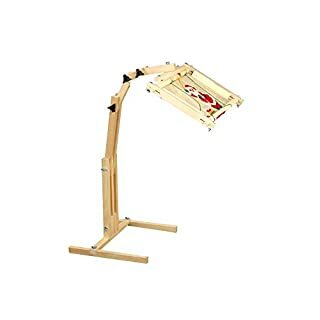 Features Scroll function for larger projects; Simple to adjust to suit your canvas size; Now with full 360 degree swivel top; Adjustable angle, height and position; The frame will be sent you in a cardboard box You need to assemble them yourself; Due to courier restrictions some areas may require a surcharge; this could apply to the following postal areas: Channel Islands / Isle of Wight / Isle of Scilly / Northern Ireland / Scottish Highlands & Islands. Description:Tapestry of standing wooden cross stitch tapestry. There are 5 levels of height adopted. 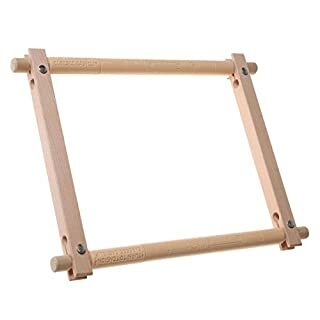 The frame has five positions of foot for greater stability. 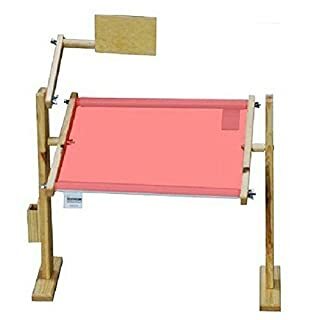 The top frame can be used as a framework of hand or attached to the leg in 5 positions, which provides flexibility of height for a maximum comfort. 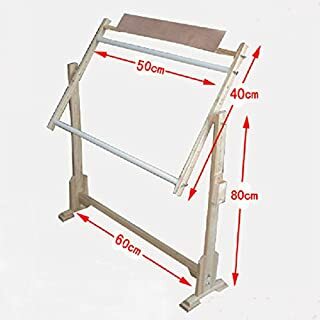 Budget:Condition: 100% newMaterial: Pine WoodColour: shown as picturePackage weight: approx.2kg Cross Point of the tables in the normal circumstances:Long 9 ct 50 cm (the highest position is 68 cm and the lowest position is 41 cm)Long 14 ct 80 cm (the highest position is 79 cm and the lowest position is 52 cm)Long 32 ct 100 cm (the highest position is 79 cm and the lowest position is 52 cm)The 3 sizes of cross stitch width of frame are 47 cm. 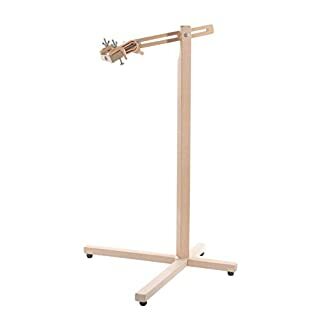 Package included:9 ct 14 ct/32 ct floor stand (send as your choice). Maximum fabric width 27" (69cm). 7" x 10" (18cm x 26cm). 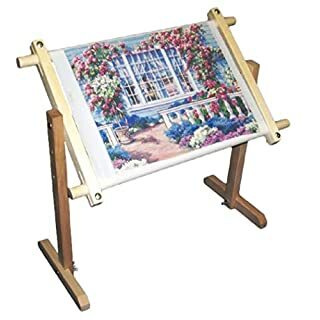 This Magnetic Board stands alone thanks to its integrated easel - similar to that on a photo frame. 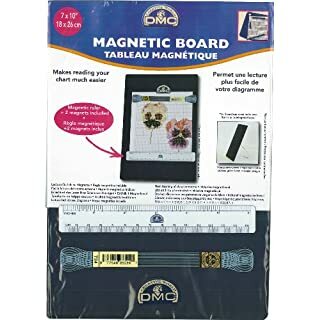 It also includes a magnetic 6" ruler, and both a decorative magnetic 'skein of thread' and 'DMC motif' to hold your pattern in place. Now you can sew hands free anywhere with Siesta Lapman. The working frame and stand simply fold away neatly into the compact carry case. The fold-back cushioned top provides a comfortable and stable padded base when the frame is in use. 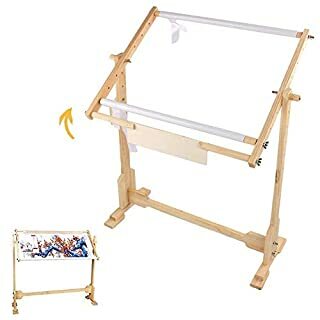 A handy pocket holds charts and accessories and the frame features Siesta's "Clip-'n'-Sew" rollers. 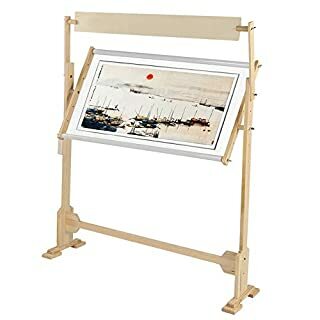 Dimensions: 15" x 22" x 4.5"
Elbesee high quality 12 inch No Sew Easy Clip hand rotating tapestry frame with polished natural wood finish. For embroidery, tapestry, and other needlecrafts. Helps to stop your fabric creasing or marking. Simply clip on your fabric. 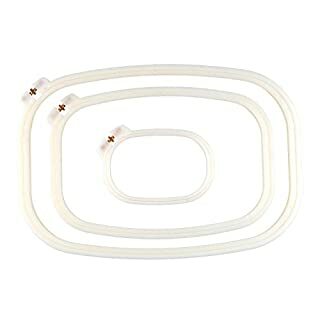 Self-locking non slip clips maintain an even tension and even help to prevent your fabric from fraying at the edges. Large work can be scrolled. British made. Dimensions: 30cm x 30cm / 12in x 12in.